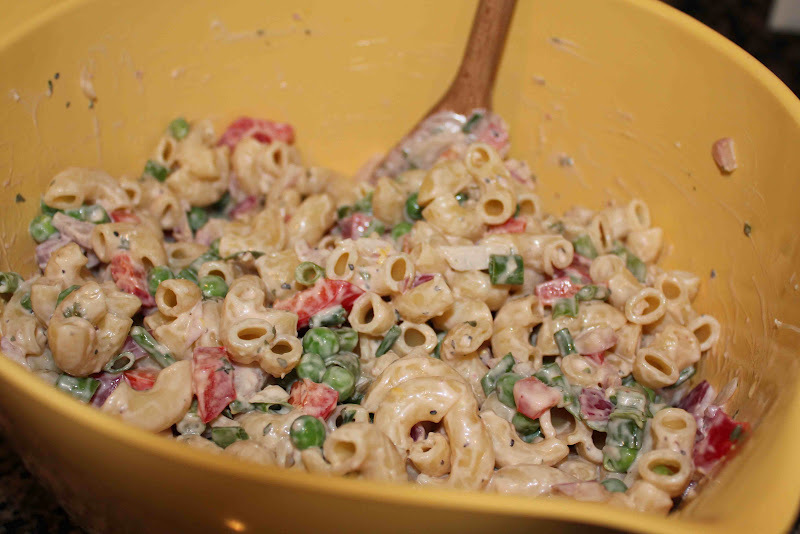 This is officially my first pasta salad blog post and boy is it a good one! My husband and I could not keep out of it, and the best part? It’s healthy! 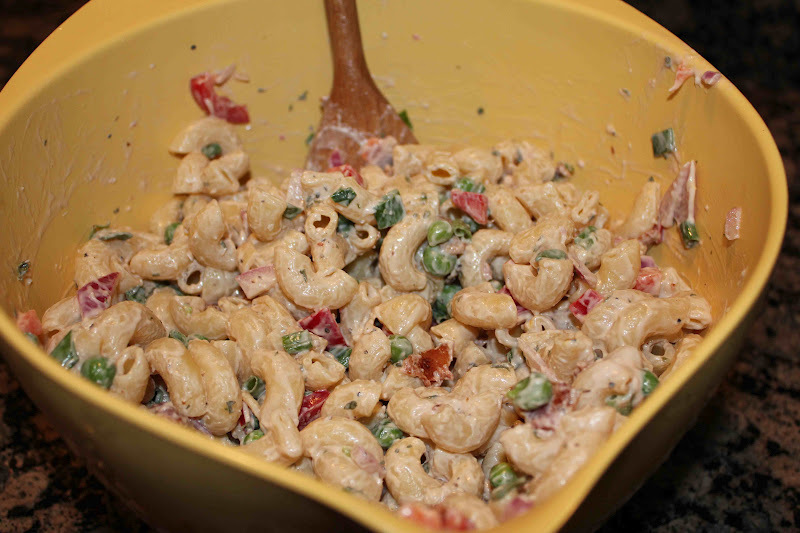 I love it when I find great tasting, low-fat/low-fat calorie recipes, and this macaroni salad with peas, dijon mustard and bacon from Cooking Light did not disappoint. With only 208 calories and 7 grams of fat, that’s not too shabby for a pasta salad in my opinion. I will say though, that after a reading a few comments about this recipe, I was a little hesitant to make it. Someone complained about the dressing being too sour from the vinegar and overpowering dijon mustard. I would definitely have to DISAGREE! I thought the slightly tangy dressing contrasted well with the smoky bacon, sweet bell pepper, and red onion. 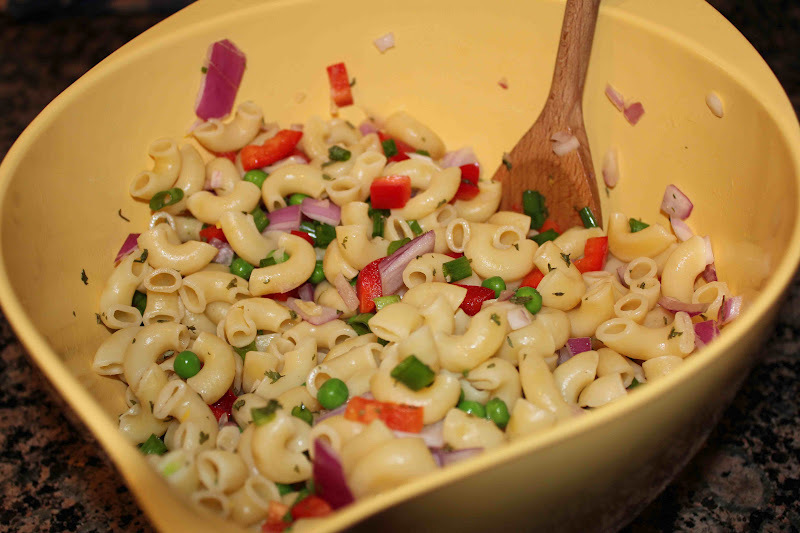 This pasta salad was excellent in my opinion, and I will definitely be making it again soon as a side dish for summer BBQs and backyard grilling parties. Combine first 9 ingredients and combine in food processor until smooth. 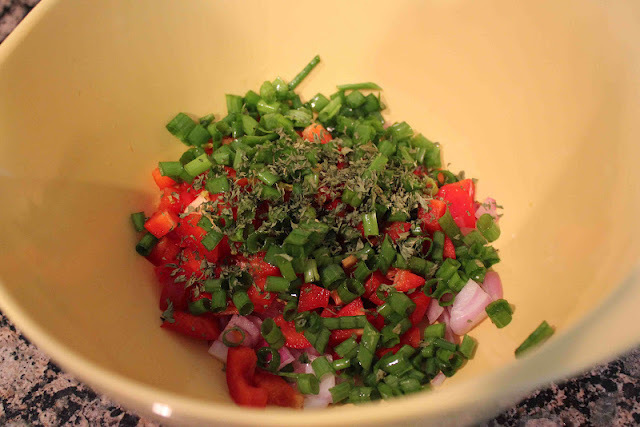 Combine chopped red onion, green onion, bell pepper, green peas, and lemon rind. Add half of the dressing and chill. 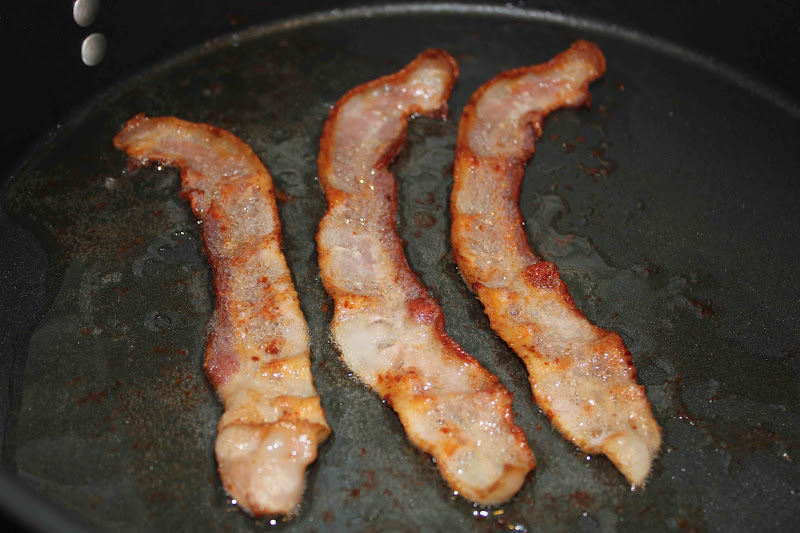 When ready to serve, add the remaining dressing and top with crumbled bacon. To prepare salad, cook pasta according to package directions. Add peas during the last 3 minutes of cooking time. Drain; rinse with cold water. Drain. 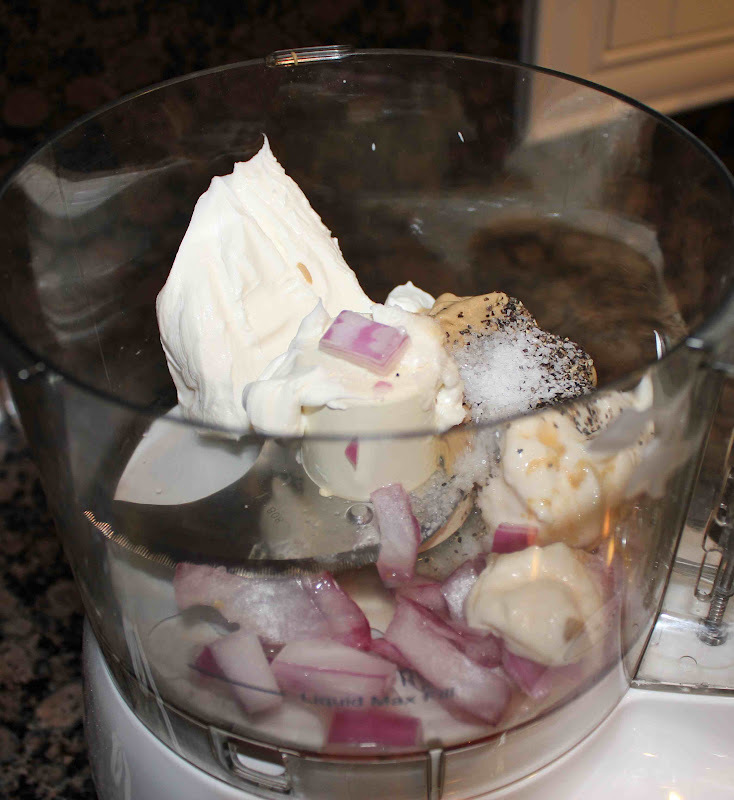 Combine pasta mixture, bell pepper, and next 4 ingredients (through rind) in a large bowl. Toss pasta mixture with half of dressing. Cover and chill until ready to serve. Toss salad with remaining dressing, and sprinkle with crumbled bacon; serve immediately. One Response to "Macaroni Salad Bacon, Peas, and Cream Dijon Dressing"